PUTTING an end to all confusions regarding over who was the real promoter of the company, and not the government, the Oil Minister Dharmendra Pradhan last week said Oil and Natural Gas Corporation (ONGC) is the promoter of state-run refiner Hindustan Petroleum (HPCL). “Today it is ONGC. Do not get into the technicalities of it,” Pradhan said at a press conference at the launch of second round of Discovered Small Field (DSF). He was replying to a question posed by media on who is the promoter of HPCL, post ONGC’s acquisition of the company. earlier this year for Rs 37,000 crore. The refiner, in its stock filings, has listed the government of India as the promoter of the company, with zero per cent shareholding and ONGC has been listed as a public shareholder with 51.1 per cent shareholding. Commenting on the issue, HPCL Chairman M K Surana had on Wednesday said the firm is acting as per guidelines. “Whatever we are doing, whatever we have done and whatever we will be doing will be as per our understanding of the statute and the guidelines and Companies Act and the SEBI guidelines,” he said at a press conference. Surana was replying to a question on whether Securities and Exchange Board of India (SEBI) guidelines require HPCL to list ONGC as promoter of the company, post its acquisition by ONGC. ONGC has reportedly written to HPCL management to rectify its stock exchange filings and to reflect the true promoter of the company post its acquisition. HPCL executives argue that HPCL’s case is special since it is a public-sector company and its board is appointed by the government, and not ONGC. 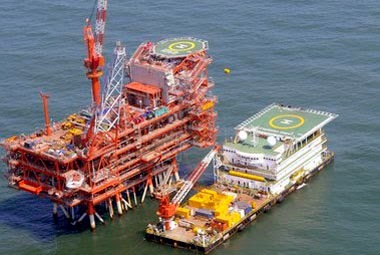 Since ONGC can’t appoint the board, which ultimately controls the company, it cannot be listed as the promoter, they said, adding that HPCL can’t be compared with other subsidiaries of ONGC such as ONGC Videsh or MRPL since its acquisition earlier this year was made with the condition that it’s independent identity will be retained, they said. Since acquiring a majority stake in HPCL, ONGC has appointed one director to that firm's board -- Director (Finance) Subhash Kumar who has replaced Sushma Taishete Rath, Joint Secretary in the Ministry of Petroleum and Natural Gas. ONGC executives say majority ownership automatically makes it a promoter of HPCL and even the HPCL chief should no more hold the position of Chairman as group companies cannot have more than one chairman. At present, ONGC’s finance chief is the sole representative of the company on the HPCL’s board.